A Charlotte-Mecklenburg Public Schools (CMS) teacher has been charged with multiple sexual exploitation felonies in connection with a minor female. Henry Dillard, age 50, was charged last week with the first-degree sexual exploitation of a minor, third-degree sexual exploitation of a minor and disseminating obscenity. All three are felony charges. Dillard worked at Ridge Road Middle School as a “Behavior Modification Technician” according to CMS officials who stated that Dillard has been suspended without pay pending an investigation. He had worked for the school district since 2005. Dillard has also worked under that same job title at four other schools. Those schools include Quail Hollow Middle School, James Martin Middle School, and Northwest School of the Arts, and the Exceptional Children’s Assistant at Lincoln Heights Elementary School. According to the Mecklenburg County Sheriff’s report, police received an email tip about Dillard and activities involving a teenage girl. The alleged incidents occurred between June 2017 and January of this year. Warrant documents revealed that the young female victim had received several videos as well as pictures of Dillard allegedly both exposing himself and masturbating. 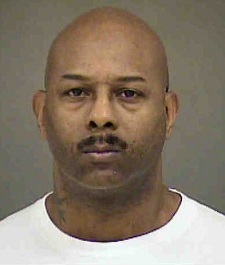 According to the warrant, Dillard asked the victim to reciprocate and send photos and video of herself doing the same. While his face was not captured in the video, apparently tattoos on his arm were visible and matched the ones found on the girl’s cell phone. When questioned by police, Dillard admitted to sending the photos and videos to the victim. He also said that he received photos and videos from the victim. This entry was posted in CRIME, EDUCATION, Quiet Epidemic and tagged CMS, Henry Dillard, Quiet Epidemic. Bookmark the permalink.